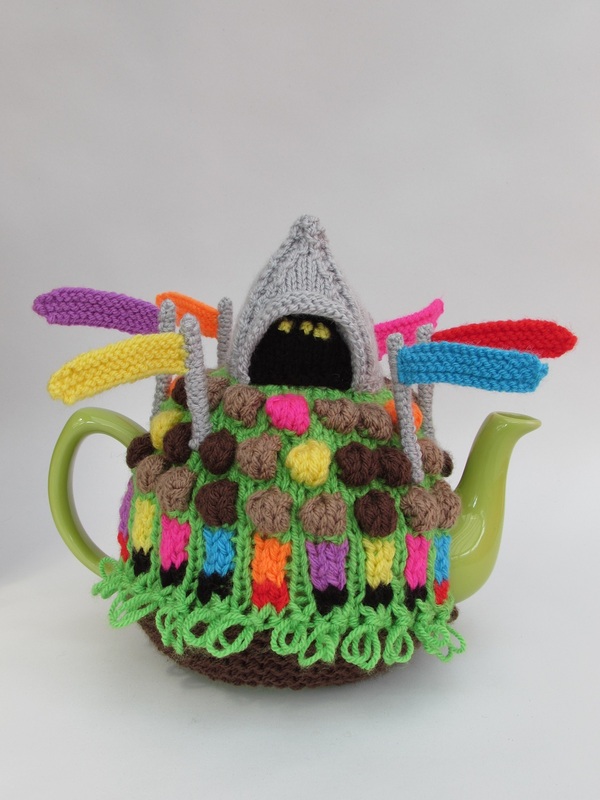 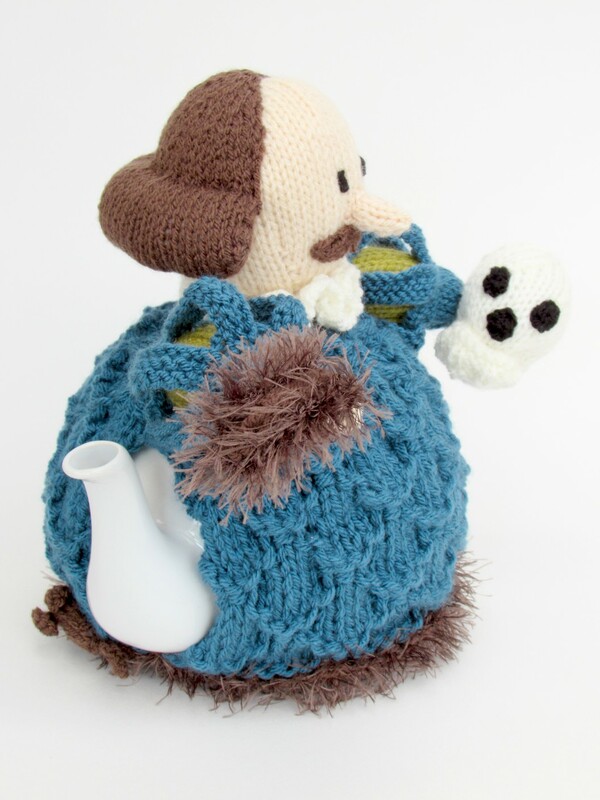 The Shakespeare tea cosy as you might expect was inspired by the great poet and playwright. 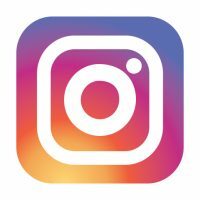 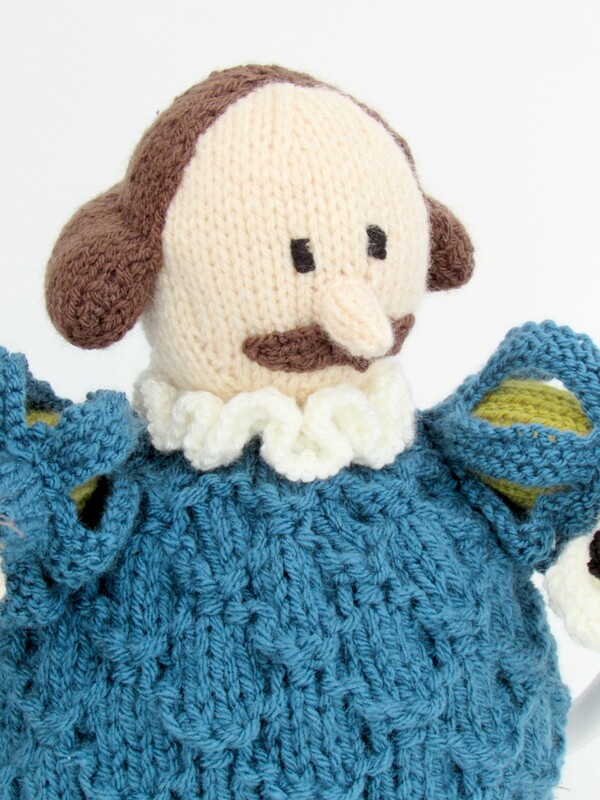 I used an iconic portrait picture of William Shakespeare to design his head, and to get the classic hair do, pointed nose and moustache right. 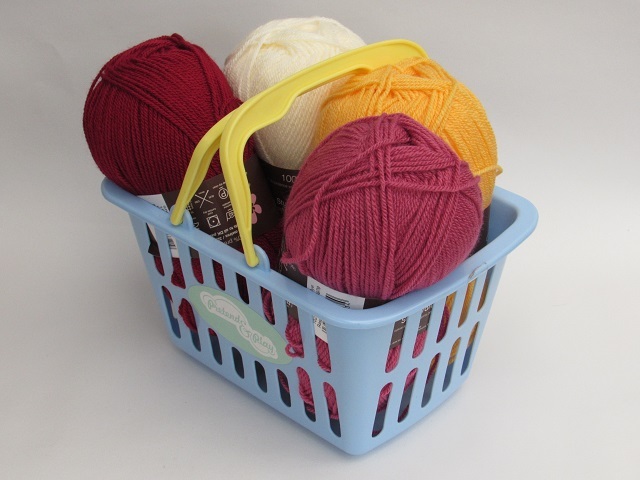 The main part of the cosy is made in Stylecraft Special DK Petrol, because it's a lovely rich colour and the sort of shade I expect the fashion of that ear to be. 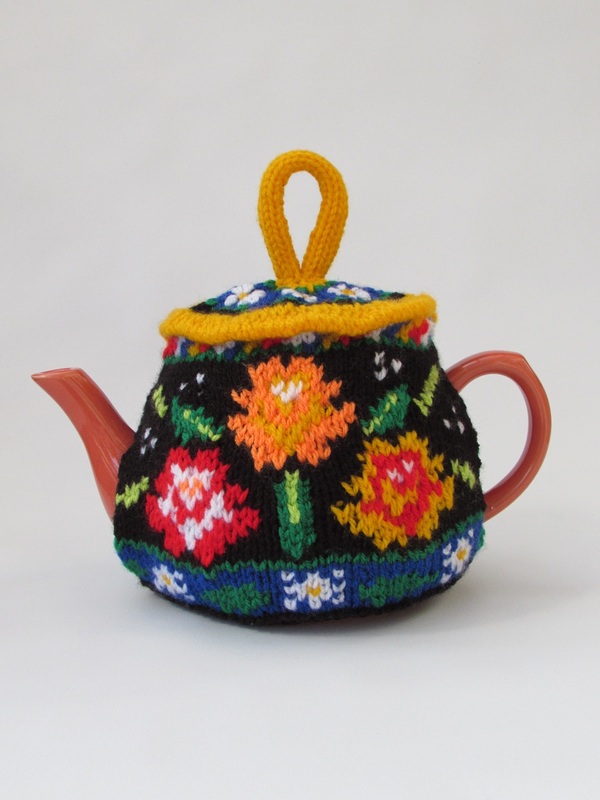 I imagine most fabrics of the time to be quite heavy and embroidered, so to get this feeling across on the cosy, I have used a texture on the main cosy that puckers the knitting slightly making it look thick and lush. 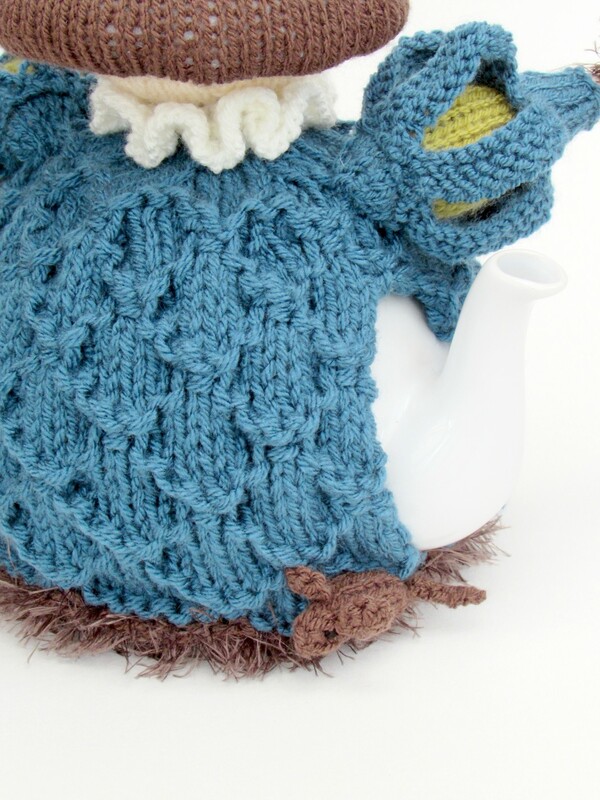 The bottom of the cosy is edged with an fluffy yarn to look like fur, another exuberance. 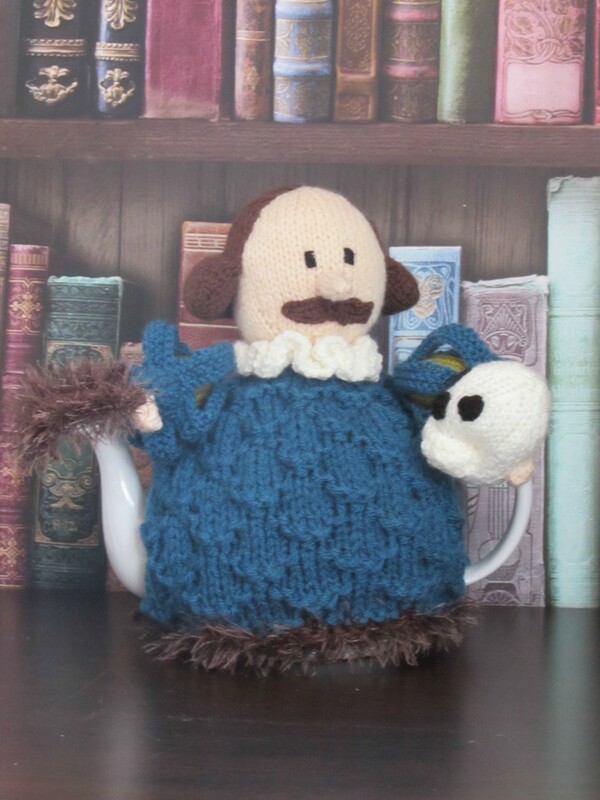 I gave the Shakespeare tea cosy those iconic looking sleeves where you can see another colour under 'holes' in the upper fabric. 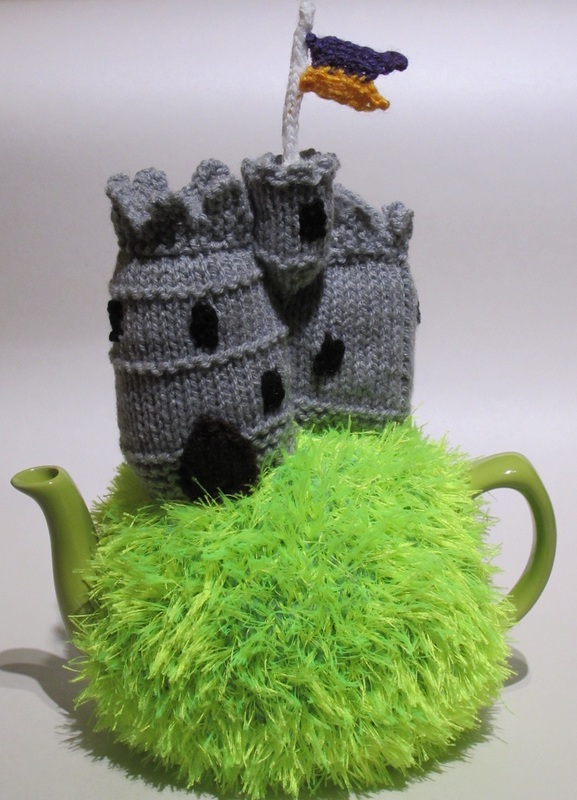 They just make me think of historic fashion, and theatrical costume; which I thought was appropriate. 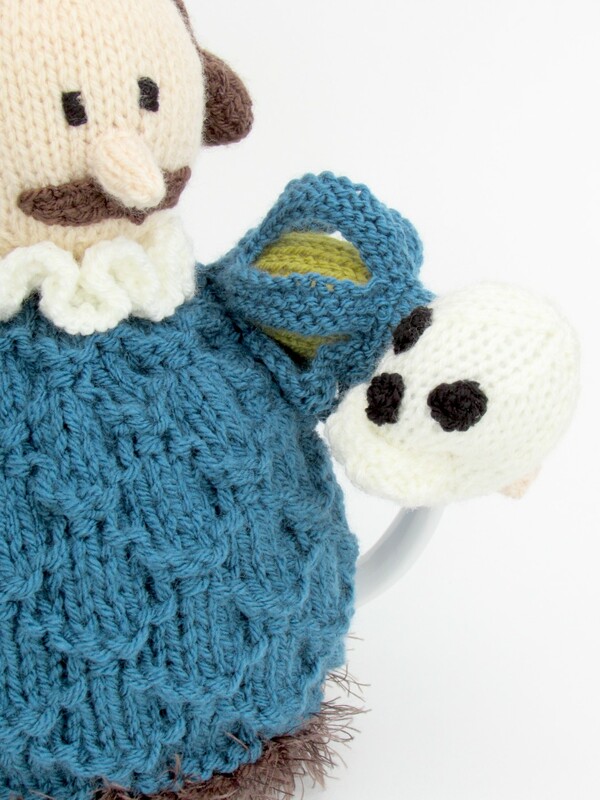 In Shakespeare's right hand he is holding a quill, and in his left he is holding a skull, maybe he is writing the story of Hamlet? 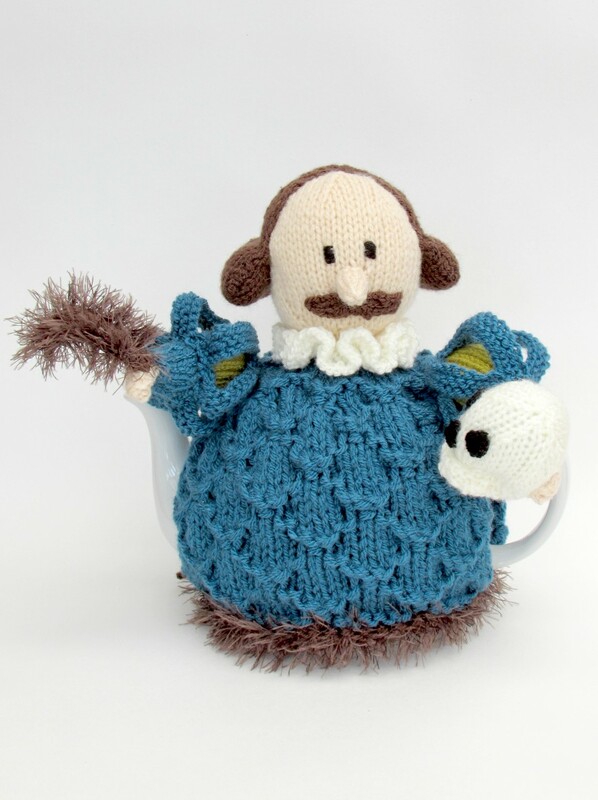 Around the back of Shakespeare, you will find a little shrew running along. 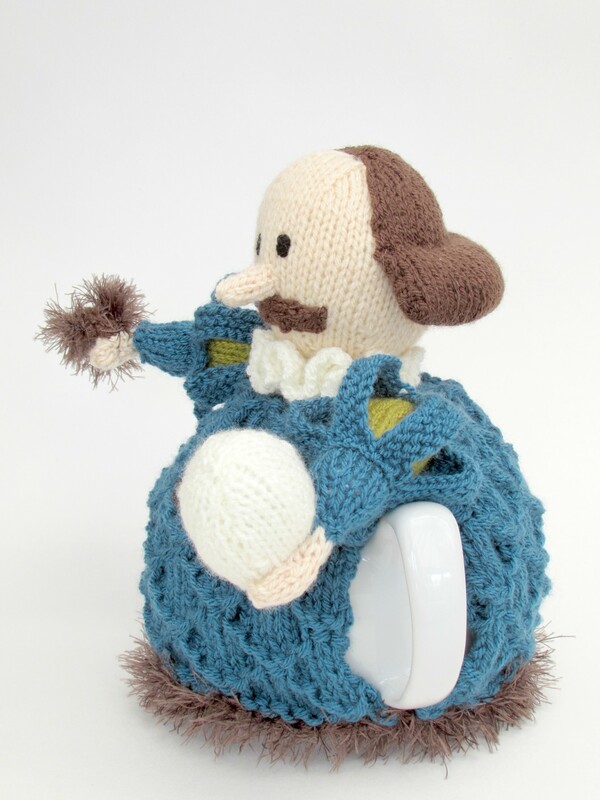 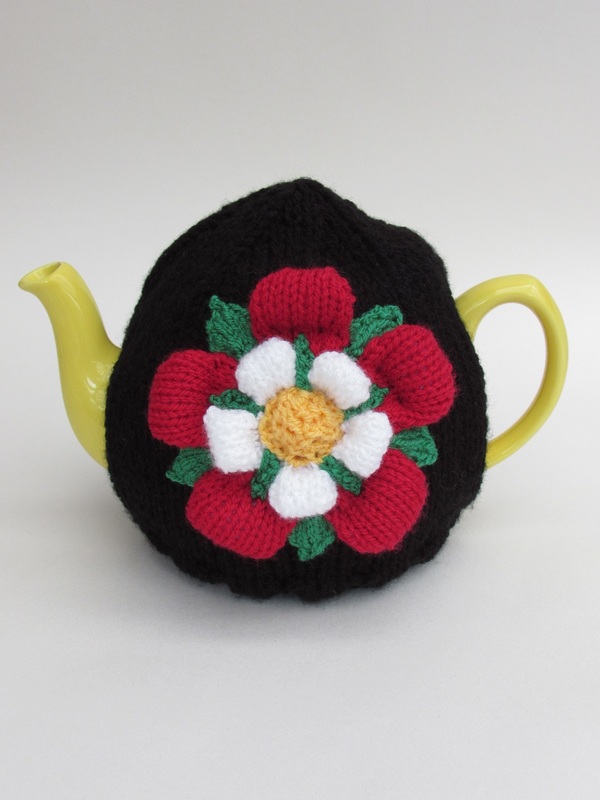 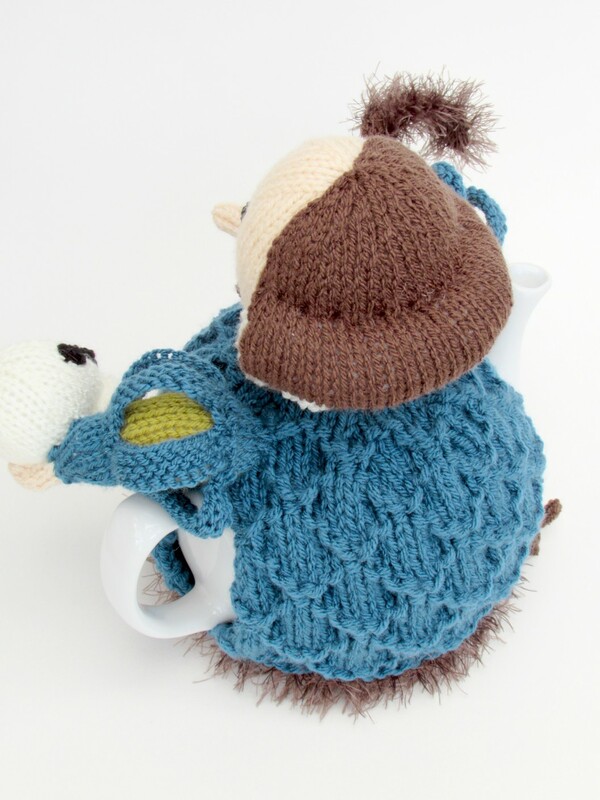 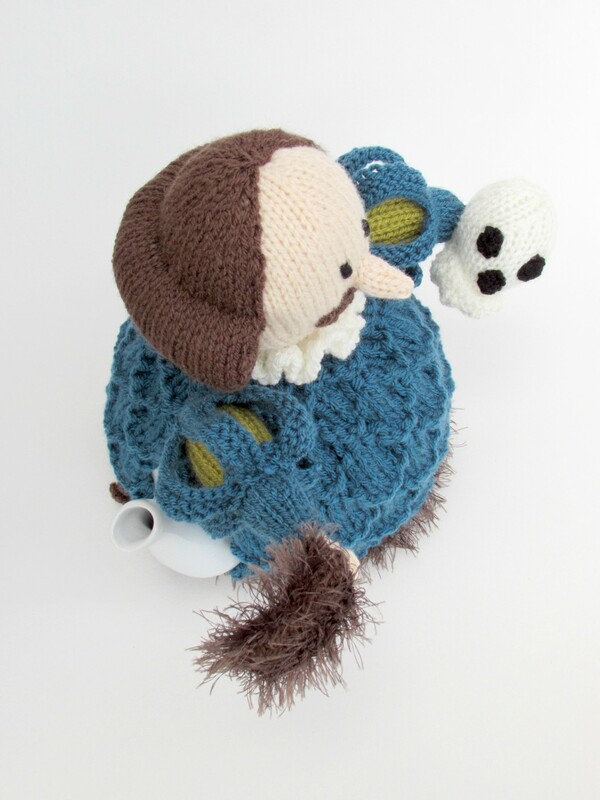 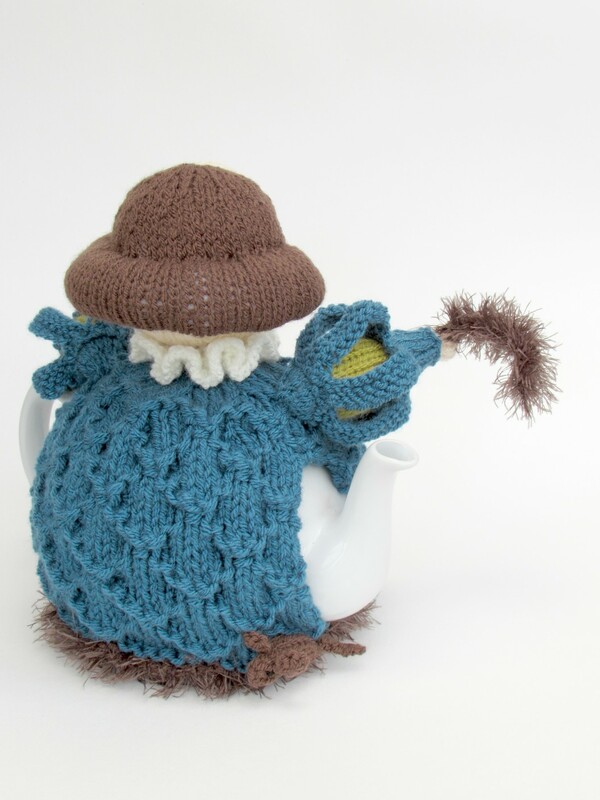 The Shakespeare tea cosy is great fun to make and he's easily recognisable. 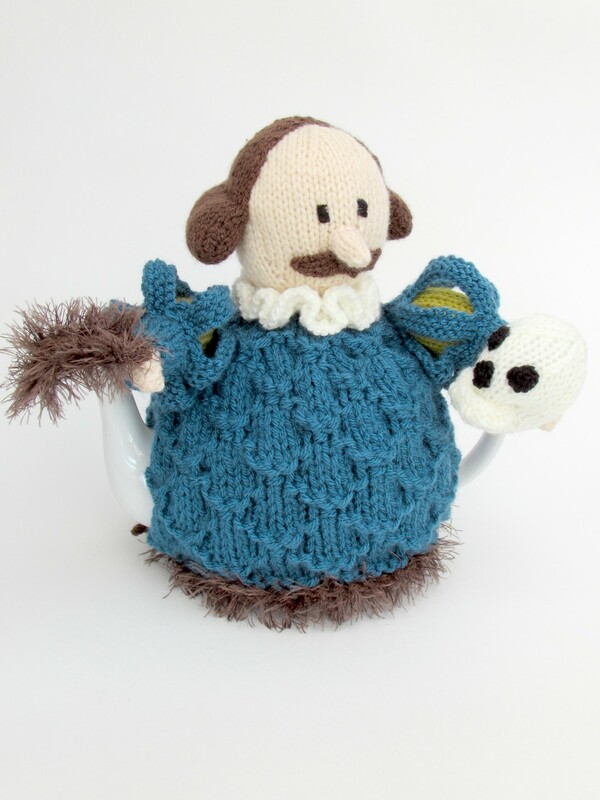 Perfect for thinking of all those memorable quotes at tea times. 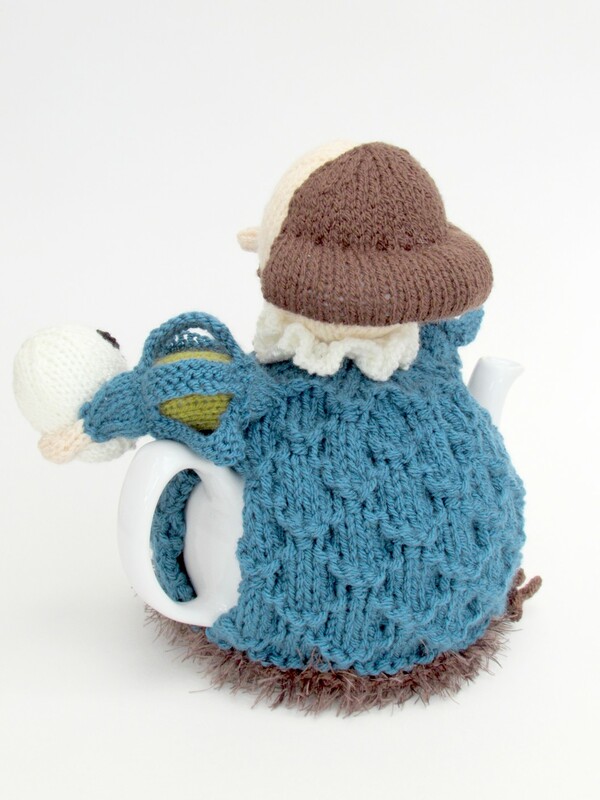 Much a brew about nothing.